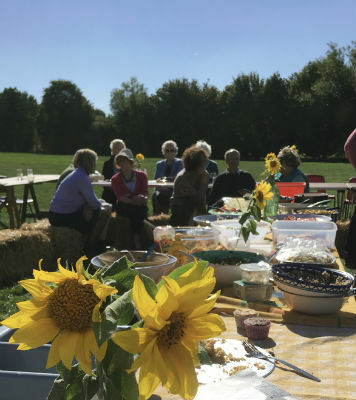 A few images from our recent Harvest celebrations across the benefice. 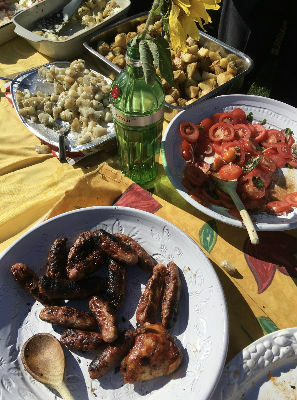 Thank you to everyone who helped organised and participated in these community events of celebration and thanksgiving. 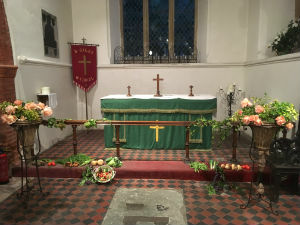 Attractive harvest displays at Wyddial Church for Harvest celebrations on 9th September. 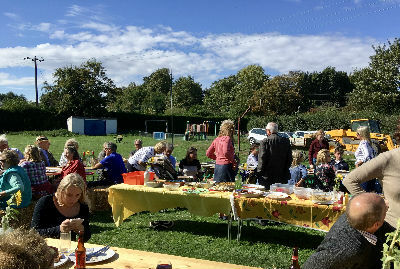 Bright summer sun brought out the crowds at Hormead Community Harvest Barbecue at the Mead, Hare Street. 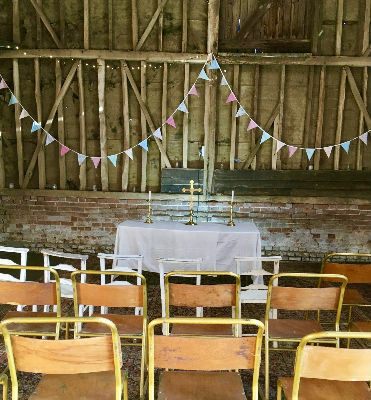 The altar set up to celebrate Meesden's harvest festival in the historic barn lent to us for the occasion by the Bush family. Every seat was taken (in fact we needed more!) and the service was followed by a delicious tea in the village hall. 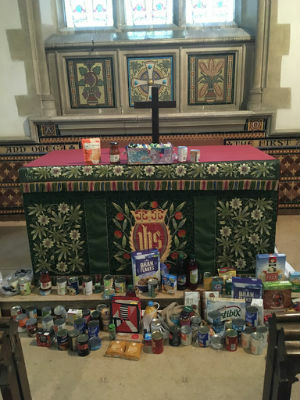 A selection of harvest gifts given by families of Hormead First school for the school Harvest service for the benefit of homless people needing the help of Jimmy's night shelter.